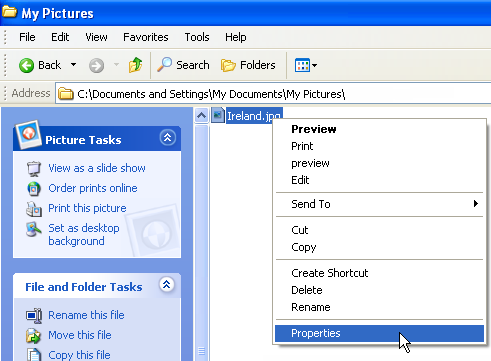 For example, if several objects make up the SureThing file, such as a logo file, a text box and a background, only those portions with the attributes above would not print. If the logo were a 32bit bmp file it would not print. If the background were a 32bit bmp it would not print but the rest would. If the only object of the SureThing file was a 32bit bmp background then nothing would print. 1. 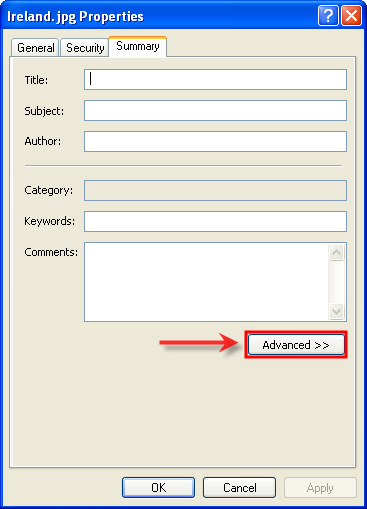 Change the bit depth or file type of the affected file. This can be accomplished using the source image from Photoshop, Illustrator or a similar program and exporting or saving as a new file type or the same file type with different attributes. 2. Downgrade to SureThing 3.15 and recreate the image (if possible). 1. 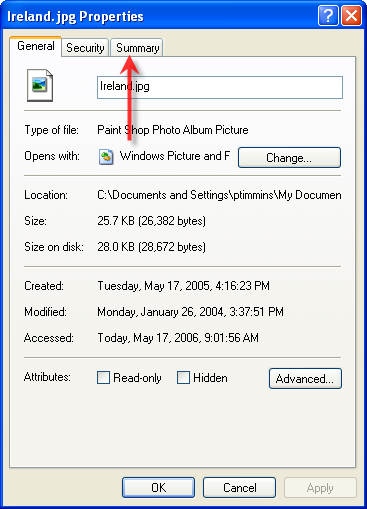 Right Click on the picture or graphic file found on your computer. Choose Properties. 2. Click the Summary Tab. 4. Check the bit depth on the screen that appears.